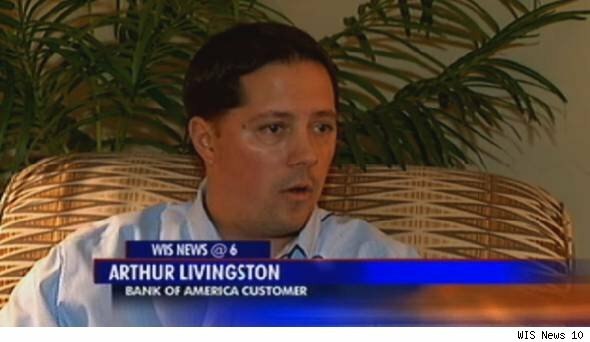 Rumors of Arthur Livingston’s demise have been greatly exaggerated — and they’re taking a toll on the South Carolina man’s credit rating. Bank of America, Livingston’s bank of choice for the past 14 years, mistakenly declared him dead to the three major credit bureaus in May 2009, TV station WIS in Columbia, S.C., reports. As a result, Livingston has been stonewalled by lenders — who refuse to loan money to the deceased — and his dream of building a new home stymied by a 2&frac12;-year-old error. Livingston said Bank of America promised to resolve the issue within 30 days of his complaint. It’s been more than three months now and the problem has yet to be resolved, he told WIS.
“I spend every free minute I have either sending a message, calling, faxing or just, you know, wondering if it is going to be resolved today,” he told the station. While Livingston’s case is an extreme example, credit report errors are a very common — and costly — problem for Americans looking for a line of credit. According to the U.S. Public Interest Research Group, one in four reports can have an error serious enough to hurt one’s chances of getting new credit. This is especially troublesome for prospective homebuyers today as mortgage lenders have, since the housing bubble burst, drastically raised the bar on qualifying for a loan. The most basic step to protecting your credit score is regularly checking in with the three major credit bureaus. And contrary to a slew of popular commercials claiming to provide free credit reports, the only federally endorsed credit reporting site out there is annualcreditreport.com. Once an error is identified, be prepared to maneuver through an entirely different bureaucracy. “Thousands of [dispute] letters get thrown out,” Glamis Haro, a lending manager at a New York credit union, told AOL Real Estate. To ensure that your complaint isn’t lost to the void, Haro suggests sending any correspondence with the credit bureaus by certified mail with a return receipt request. Under the Fair Credit Reporting Act, the bureaus are required to respond to your complaint within 30 days of receipt. In Livingston’s case, however, because Bank of America has yet to correct the error on their end, his options remain limited. Bank of America told WIS that the issue is under investigation, but resolution has yet to be reached.